Telepathic Animal Communication is a natural and complete way of communication exchange between all living beings. By opening your intuitive channels, you will be able to send and receive messages with animals both in your presence and across distance. The following licenses (in alphabetical order) can earn 7 CEUs for an additional $5 fee. Check the box below to add CEUs before clicking on “Register”. 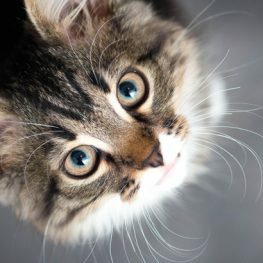 In this October 2019 Communicating With Animals workshop, you’ll discover how telepathic communicating with animals is a natural and complete way of information exchange between all living beings. By opening your intuitive channels, you’ll be able to send and receive messages with animals both in your presence and across distance. Through a heart-centered connection with your companion or a client’s animal, you will have a clearer understanding of their needs, behaviors, wishes, humor, wisdom, and purposes in our lives. You will learn the nature of intuition, and the elements of telepathic communication with animals, making you aware of how you may already be experiencing this connection with the animals in your life. This increased awareness and deepening connection will profoundly enhance your relationships. You will be introduced to the essentials on how to get in touch with animals telepathically. Discover your blocks to communicating with animals and the levels of communication possible. Learn how to experience animals’ perspectives, how you may have already communicated telepathically with animals, and how to expand on that. Enjoy exercises that open your heart, increase your awareness and understanding of animals and your receptivity to telepathic communication. Deepen your communion with all of life. * Class begins promptly at 9:00a. Be sure to arrive 10-15 minutes early for check in. * The center is kept fragrance free to protect the health of all who attend. Click Here if you need more information about our fragrance policy. * Bring a sack lunch. A refrigerator and microwave are available. Note: Lunch is only 45 minutes; therefore there isn’t enough time to leave the premises. * Your professional license number (if you’re earning CEUs). You’ll sign in with your name and license number at the end of class and receive your certificate. Address: 26402 N. Edgemond Lane, Barrington, IL 60010 Click here for driving directions. 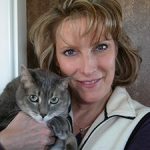 Carol Schultz Groch, MBA, LMT, has been a professional Animal Communicator since 2000. Her chosen path to assist animals and their people was greatly inspired by her feline friend, Panda, a graceful, wise, and playful companion. Although Panda has since passed into spirit, Carol’s healing journey with animals continues to evolve. Carol’s path in animal wellness has included the training and application of various intuitive healing support modalities, and a committed focus on client grief support. As Carol’s personal understanding of the interconnectivity between humans and their companion animals has expanded, she has begun to see the process of inter-species healing and communication in a different light. As a way to more deeply understand the human side of this connection, Carol embarked upon the study of Massage, Craniosacral Therapy and the effects of trauma, and now incorporates this further learning into her work with people and their animals. Private practice animal communication consultations with Carol support all concerns, including behavior, performance, health, life changes, end of life, in-spirit, and lost animals. Read More.